Political parties in Canada are now sophisticated digital operations. They often use the techniques of big data analytics in which sophisticated algorithms generate inferences about voters based on massive amounts of personal information, largely collected from online activities. While still relying on traditional practices such as knocking on doors, parties increasingly operate digitally and integrate voter data into their activities. All federal parties have voter databases that contain sensitive personal information about voters. This information is collected from a variety of sources and is used for fundraising, “get out the vote” efforts and policy development, among other activities. In addition to television and radio advertising, parties now advertise extensively online. This advertising is common on social media platforms and, in particular, on Facebook. Social media advertising allows parties to microtarget messages at particular subsets of voters. Voters may be segmented by postal code, employment or education, or by choices about car models, food, shopping or entertainment, based on the theory that these correlate with political preferences. The shift of parties into the digital space has expanded the cyber risks that they face. The Communications Security Establishment (CSE) of Canada issued a report in 2017 highlighting the risk of foreign interference to Canadian elections, especially in light of the now well-proven instances of malicious activities in other democracies in recent years (CSE 2017). The CSE identified political parties as a weak point in election cyber security in Canada. Parties are private actors, with relatively scarce resources given their importance, and are often staffed by volunteers, especially at the riding level. Digital interference with one of Canada’s main political parties would have widespread effects on the trust of Canadians in the electoral process and politics more generally. Party leaders are at risk of impersonation online, if a hostile domestic or foreign entity seizes control of their Facebook page or Twitter account. The stakes involved in malicious impersonation of a party leader or a candidate are very high. Imagine, for example, the potential chaos that could ensue if a foreign entity seized the prime minister’s Twitter account. This risk is quickly evolving as technology changes. The potential harm caused by impersonation is increasing due to “deep fake” technology in which audio and video recordings are manipulated to create extremely authentic looking videos of political figures doing or saying damaging things. With the advent of deep fakes, it will be much harder for voters to discern the credibility of a news item or social media post. Voters may inadvertently credit false videos or may doubt the truth of videos that are in fact real, with negative repercussions for democratic debate. Cyber security is also a key concern for Canada’s election administrators. Elections Canada is the non-partisan, independent body that administers federal elections, including managing polling stations, compiling results in ridings, conducting voter registration and so on. The Canadian Centre for Cyber Security’s National Cyber Threat Assessment 2018 identified public institutions as being at risk of digital interference given the data that they hold and their important roles (Canadian Centre for Cyber Security 2018). The risk of interference in election administration has led the United States to declare electoral institutions to be “critical infrastructure” (U.S. Election Assistance Commission 2018). Canada’s maintenance of a traditional paper ballot system for federal elections instead of moving to e-voting, has fortunately avoided many of the cyber-hacking risks posed by electronic voting machines and internet voting. It is now clear from the experiences of jurisdictions that switched to online voting that these systems cannot yet be secured to the degree of certainty needed for citizens to have trust in the outcome. Although online voting does occur in Canada, notably in some municipalities in Ontario, these races are less likely to generate the attention of hostile foreign powers. The incentives for interference in federal elections are much higher. Even if Canada’s adherence to the paper ballot has reduced the cyber risk, other forms of digital interference are still a concern. Election administrators have databases that they use for voter registration, which are rich targets for hacking. The internal operations of election administrators such as Elections Canada could be subject to interference to disrupt their activities and to derail elections. Some administrators oversee networked polling stations, which creates some risk. Canada’s maintenance of a traditional paper ballot system for federal elections, instead of moving to e-voting, has fortunately avoided many of the cyber-hacking risks posed by electronic voting machines and internet voting. Like political parties, election administrators are also at risk of impersonation. The “robocalls” scandal in the 2011 election involved fraudulent automated telephone calls, including some purportedly from Elections Canada, which directed voters to the wrong polling station or gave them the incorrect election date. This incident highlights how online misinformation could be spread in future elections by a tactic of impersonating Elections Canada. Social media posts, Twitter feeds, banner advertisements or phishing emails purporting to be from Elections Canada all have the potential to be used by malicious actors to suppress voter turnout by sowing confusion. While the automated telephone calls wrought serious damage, the reach of such misinformation through these online mechanisms is potentially much wider. No analysis of cyber security threats is complete without considering the impact on voters. The mass collection of information about voters by parties and campaign consultants lays the foundation for major risks to voter privacy. Voter privacy is particularly relevant with regard to political parties and social media platforms. First, the privacy laws that apply to private and public sector actors do not apply to political parties, which creates huge potential for the misuse of sensitive personal information about voters.4 There is no compelling public policy rationale for why political parties should be exempt from robust privacy rules, as nearly every other significant public or private sector organization in Canadian society is subject to them. Voters should know that political parties are abiding by fair information principles, modified to account for other federal election laws, such as the mandatory disclosure of contributors. Fair information principles include accountability, consent and limits on the collection, use and disclosure of personal information. Currently, voters have no way of knowing whether the information that they have knowingly given to parties, or that the parties have collected from social media or private sources, is protected against third-party disclosures or has adequate safeguards, such as encryption. This information is at risk of cyber interference. In response to this problem, the House of Commons Standing Committee on Access to Information, Privacy and Ethics recommended in 2018 that political parties should be included as entities under the existing private sector privacy legislation (House of Commons Standing Committee on Access to Information, Privacy and Ethics 2018). The privacy laws that apply to private and public sector actors do not apply to political parties, which creates huge potential for the misuse of sensitive personal information about voters. In our view, the privacy rules that apply to political parties should be tailored to the particular role and function of parties. For example, a “do not call list” that prevented political parties from contacting voters would be disastrous for democratic engagement and could undermine, rather than protect, democratic discourse. Democracy requires contact between parties and voters. Second, voters’ privacy can also potentially be breached by social media platforms. Their business model is predicated on giving away services in exchange for personal data. The major platforms have been critiqued extensively for the manner in which they collect and disseminate data. This transmission of information about voters held by platforms to app developers, advertisers or other entities, especially if used for electoral purposes, raises serious risks to voter privacy. In the most notorious example implicating voter data from social media sites, the Cambridge Analytica scandal involved alleged improper third-party uses of Facebook data by campaign consultants, although Facebook disputes the extent. The Elections Modernization Act of 2018 makes a host of changes to federal election law, including some important measures to improve cyber security. First, social media platforms with a minimum number of users are required to keep a repository of all political advertisements run on their websites.5 This move offsets, to some extent, the influence of microtargeting. Microtargeted advertisements are only seen by the viewers to whom they are directed, and rules on disclosing the source are easier to evade online. There is, therefore, less public scrutiny of the content and the source than there would be with a traditional advertisement on television or radio. A mandatory repository of advertisements imposes transparency and facilitates public scrutiny of advertisements. This new legislative requirement will not prevent foreign-placed advertisements or domestic ones that otherwise breach campaign finance laws, but it increases oversight as the advertisements will be made available to the public, media and politicians to examine. These offences are promising attempts to update the Elections Act to account for digital democracy and existing cyber threats. Yet, they collectively face some challenges, in particular around deterrence and enforcement. It is unlikely that new offences will deter foreign actors funded by a hostile government from hacking into the database of a political party or from placing misleading content on Facebook. Even if the wrongdoers can be identified, if they reside outside of Canada in hostile countries it is unlikely that they would ever be held accountable. It is also unclear whether the provision on impersonation will cover deep fakes. Finally, the legislation will require political parties to have privacy policies that address specific issues but does not go so far as to grant voters an enforceable right to their personal information and does not give them a cause of action to combat privacy infringements.9 This tepid approach to regulating political parties and privacy is a significant missed opportunity, not only for privacy but for cyber security as well. Laws imposing stringent privacy protections would have the salutary indirect effect of requiring parties to strengthen their cyber security protections and would limit the collection of the massive amounts of personal data that underwrite data-driven electoral threats. Elections around the globe have been subject to digital interference, both domestic and foreign. 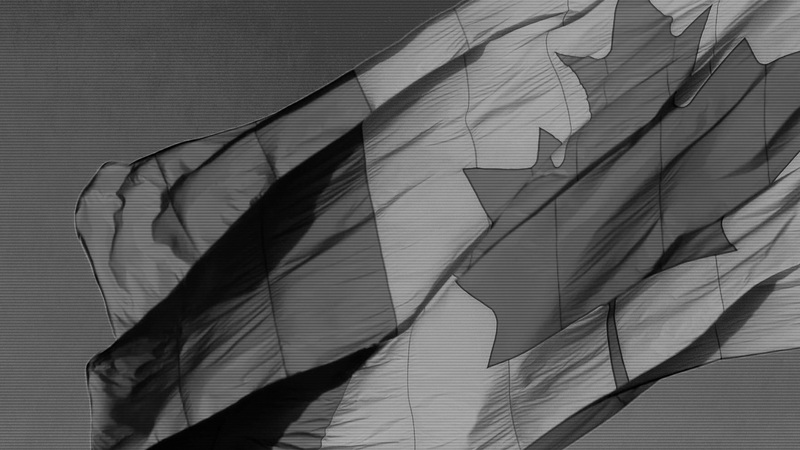 Canadian elections are at risk of cyber attacks, and the lead-up to the federal vote in October 2019 has seen government, political parties, election administrators and national security actors try to address the major threats. Election cyber security has come from the margins to the centre of the conversation about democracy and will no doubt continue to grow in importance after 2019. Although Canada has made improvements to election-related cyber security with the enactment of the Elections Modernization Act, much more work remains to preserve the integrity of Canada’s elections from digital threats. Elections Modernization Act, SC 2018, c 31 (Royal Assent 12 December 2018). Sergei Magnitsky Law, SC 2017, c 21 (Can); Russia and Moldova Jackson-Vanik Repeal and Sergei Magnitsky Rule of Law Accountability Act of 2012, Pub L No 112–208, 126 Stat 1496 (US). See, for example, García Martínez (2018). Political parties are not covered by the federal privacy statute pertaining to the private sector because it applies only to “commercial activities.” Personal Information Protection and Electronic Documents Act, SC 2000, c 5 [PIPEDA]. Political parties are excluded from the federal privacy statute pertaining to the public sector because they are not within the definition of “government institutions.” Privacy Act, RSC 1985, c P-21. The Canada Elections Act does not significantly oversee the practices of political parties with regard to the collection, use, storage and analysis of data, although it does provide them with an entitlement to basic information about voters. Elections Modernization Act, supra note 1 at s 208.1. Canadian Centre for Cyber Security. 2018. National Cyber Threat Assessment 2018. CSE. Government of Canada. https://cyber.gc.ca/sites/default/files/publications/national-cyber-threat-assessment-2018-e_1.pdf. CSE. 2017. Cyber Threats to Canada’s Democratic Process. Government of Canada. www.cse‑cst.gc.ca/sites/default/files/cse-cyber-threat-assessment-e.pdf. García Martínez, Antonio. 2018. “Why WhatsApp Became a Hotbed for Rumors and Lies in Brazil.” Wired, November 4. www.wired.com/story/why-whatsapp-became-a-hotbed-for-rumors-and-lies-in-brazil/. House of Commons Standing Committee on Access to Information, Privacy and Ethics. 2018. Democracy Under Threat: Risks and Solutions in the Era of Disinformation and Data Monopoly. December. 42nd Parl., 1st Sess. www.ourcommons.ca/DocumentViewer/en/42-1/ETHI/report-17/. U.S. Election Assistance Commission. 2018. U.S. Elections Systems as Critical Infrastructure. Silver Spring, MD: U.S. Election Assistance Commission. www.eac.gov/assets/1/6/starting_point_us_election_systems_as_Critical_Infrastructure.pdf.